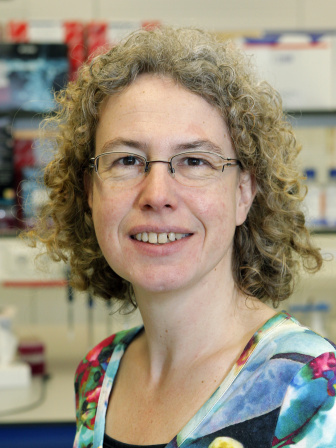 Gerjo van Osch studied Medical Biology at Utrecht University, the Netherlands and received a PhD from Nijmegen University based on her research on mouse models for osteoarthritis (1994). During her postdoc she became interested in cartilage repair and she continued researching this since. Gerjo is currently appointed as full professor of Connective Tissue Regeneration in the Departments of Orthopaedics and Otorhinolaryngology at Erasmus MC, University Medical Center Rotterdam. She is leading a research group of approx. 15 people. Currently the research mainly focuses on cellular mechanisms of chondrogenesis, the use of stem cells and biomaterials to achieve cartilage repair, and the influence of the inflamed environment in cartilage repair. She is co-author on over 200 publications. Gerjo is involved in several national and European funded projects (also coordinating two Horizon2020 MSCA-ITNs) and is the chair of TERMIS-EU. She has served on the board of several (inter)national research societies such as the Dutch Society for Matrix Biology and the International Cartilage Repair Society and in editorial boards of scientific journals (a.o. Cartilage, Tissue Engineering, Journal of Tissue Engineering and Regenerative Medicine).